Bob Parsons, left, and Eric Lefkofsky signed on to the Giving Pledge. The number of billionaires pledging away their fortunes just got larger. 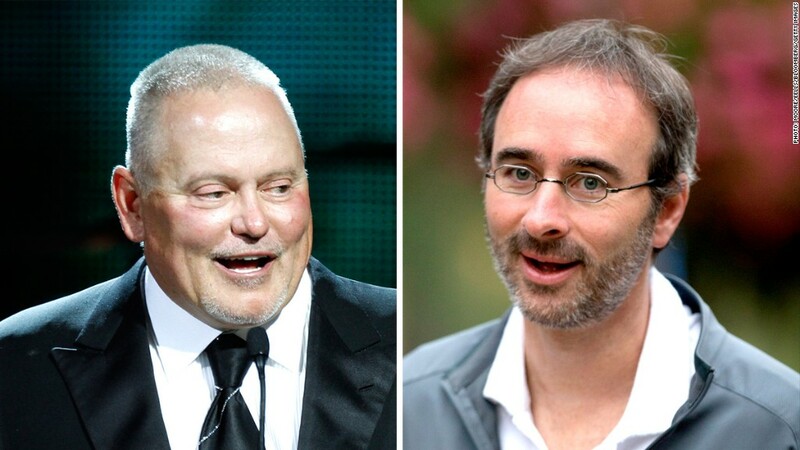 The founders of Groupon and GoDaddy each pledged to give a majority of their wealth to charity. The announcement was made Tuesday by The Giving Pledge, a campaign that began in 2010 with similar pledges from billionaire investor Warren Buffett, along with Microsoft founder Bill Gates and his wife Melinda. Pledgers -- a who's-who of big names in business, technology and public service -- contribute to charities of their choice. Web hosting company GoDaddy's founder Bob Parsons said he and his his wife Renee support charities focused on children. "Every child has the right to good nutrition, the best medical care, a good education, a happy and stress free environment," said Parsons, who is worth $1.9 billion, according to Forbes magazine. In addition to supporting a charity active in Haiti, the couple's foundation supports non-profits in Phoenix, near his Scottsdale, Arizona home. Online coupon site Groupon (GRPN)'s co-founder Eric Lefkofsky, who Forbes values at $1.75 billion, said he supports human rights, medical and cultural programs. His wife, Liz, runs their charity, the Lefkofsky Family Foundation. Five other wealthy couples and individuals also made the pledge, the group announced. The pledge started with 40 signatories and has added many more over the last three years, including New York Mayor Michael Bloomberg, wealth manager Bill Ackman, members of the Hilton hotels family, investor Carl Icahn, movie director George Lucas, oil executive T. Boone Pickens, media mogul Ted Turner, and Facebook (FB) founder Mark Zuckerberg.